My plans for this blog, well my thoughts are often not what one would call conventional so I'll express my craziness here along with I'm thinking after every book I'll give my thoughts maybe the same for movies. Oh and expect quotes every now and again . . . I love me a good quote. T.C.I is an Incognito blogger like myself and I hope we can become good online friends (Probs still anonymous) in the near future. If anytime I ask for you guys to share this blog with your friends, it's because I want to be noticed! I won't EVER ask you guys to share this with your friends for popularity! I personally think XOXO sounds like such a nice person and hope you guys comment on her posts to encourage her back into the blogger community. Izzy started around the same time as me, August last year, and Unfortunately only wrote 2 posts before stopping. This is only my second post so I thought I'd do something to help you get to know me better, 15 facts about me. Let's get started! IzzyChats sounds like such a bright and cool person and it would be awesome to see her back in the blogging community. So this Izzy stopped blogging on the 21st of June 2016. 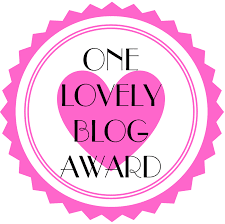 She had been blogging for around a month which is quite a long time for a young girl to blog for if you ask me, Being one myself I know that balancing School, Friends, For some lucky girls dates and blogging can be a lot to handle so congrats. And for anyone who lives in the UK right now and is reading this, have a little dance party right now, go on just do it. Stop reading this for a minuet or two, crank up the music and have a one person dance party or more-than one person dance party. This Izzy seems like a very fun girl to be around and probably had a very busy social life! That is the last of our spolight for today. Maybe I should make this a weekly thing? What do you guys think? PS If I have featured your blog in this and you would like me to take it down or change something then please tell me!!! Cool post! I've never heard of any of these bloggers but I'll be sure to check them out, I always find it such a shame when bloggers quit, although I completely understand why, blogging can take up a lot of time! Sorry for not replying I didn't see your comment! It would be cool for you to start blogging again! Awesome posts! Could you link me to xoxo because I've found everyone else's blog apart from theirs.